Ross Barkley has described Eden Hazard as "inspirational" and hopes the Belgian will commit his long-term future to Chelsea. Hazard is torn between staying in the Premier League and pursuing a dream move to Real Madrid, although Sky Sports News has been told Chelsea intend to convince him to stay at the club and tie him down to a new contract. 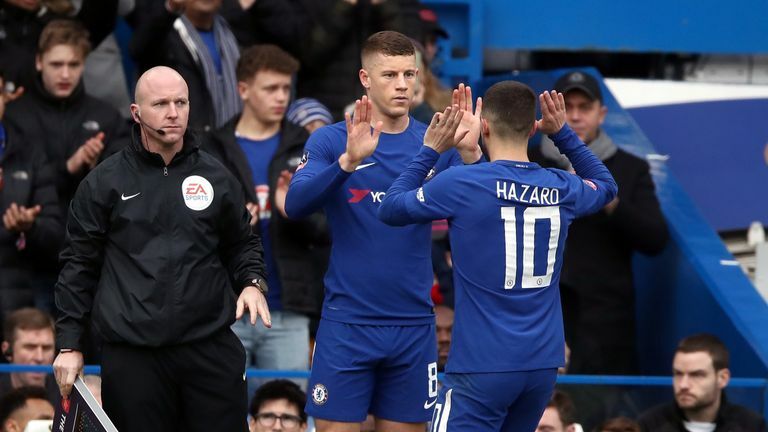 Hazard says Barkley could become one of the best midfielders in the world and Barkley reciprocated the compliment, insisting it is important Hazard remains at Stamford Bridge. "He's a magnificent player," said Barkley. "You can see how he started the season and the World Cup that he had, you don't get many players like him. "He's capable of magic at any moment and to hear the things that he's said, it's great for me get to hear a player like that say so many great things about myself. "It's important [he stays] because he's been at Chelsea for a long time. He's achieved so much. But I can't speak for Eden. He knows in his mind what he wants but I'd love to play with him for many more years." 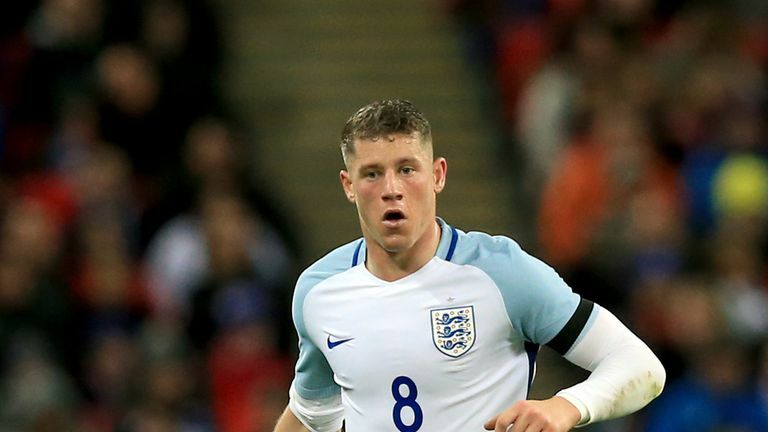 On missing out on the summer's successful World Cup campaign in Russia, Barkley added: "It was frustrating for me because England means the world to me, to play for your country, but these things happen in football and you have to react and work hard to get your rewards, which I am doing. "I was proud to see the lads do really well and see how proud the country was of the boys. "After where I was at, I had had a difficult season through injuries and I had a few niggles but kept a positive mind. I had a strong pre-season and things are going well for me now." With Southgate still desperate to find a player capable of unlocking defences at the highest level, Barkley's return to form could not have come at a better time, particularly with regulars Dele Alli and Jesse Lingard missing through injury. "All of the midfielders will be thinking that," he said. "It is a challenge for us to go out there and produce the goods as Gazza did when he was a player. "We have a lot of talent in the squad that can produce magic at any point in the game and we have a confident bunch of lads and there is a lot of talent coming through."